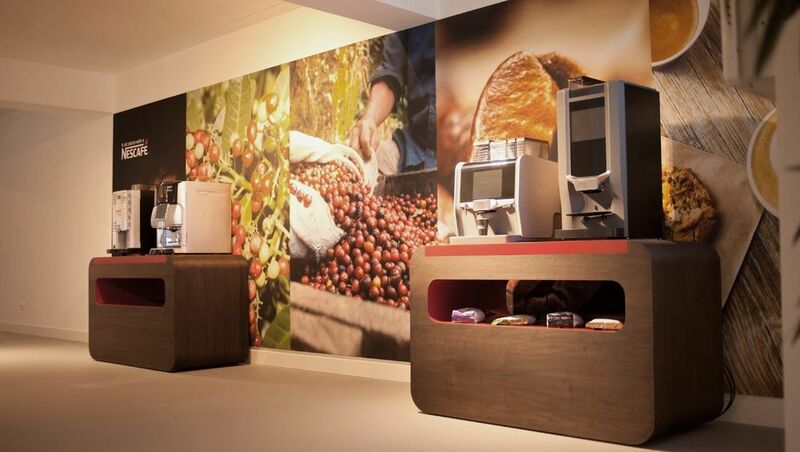 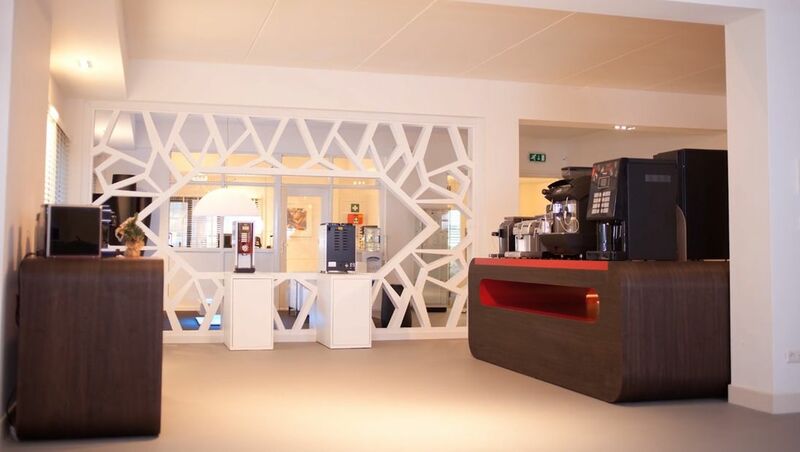 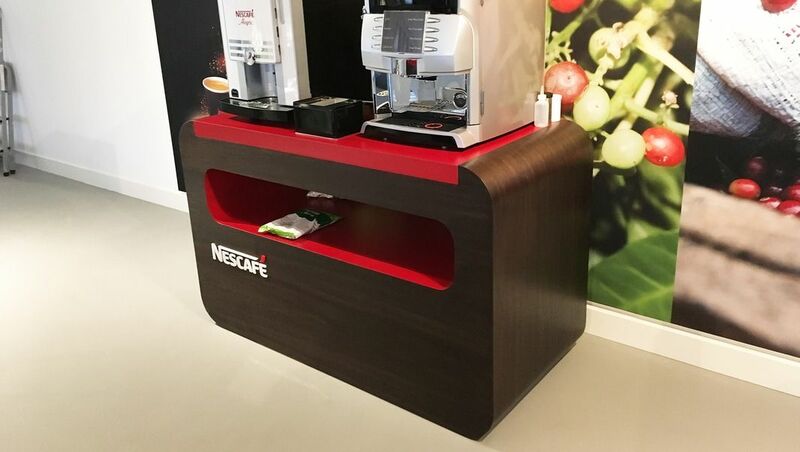 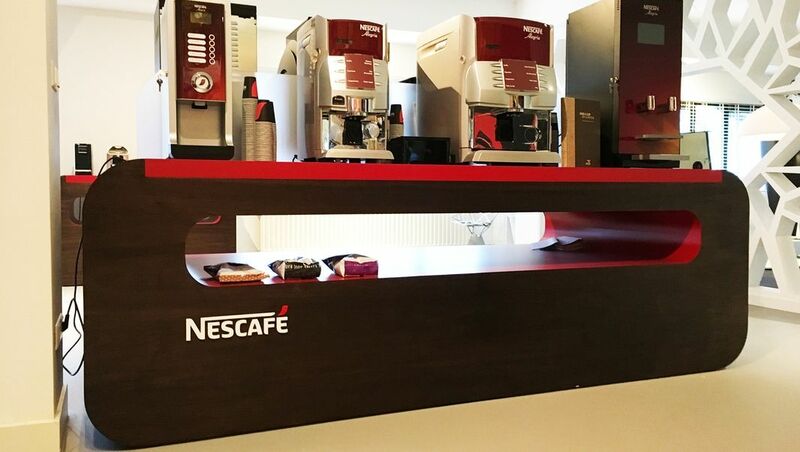 Design and implementation of 4 presentation counters for Nescafé in Amsterdam, near the famous Ajax Stadium. 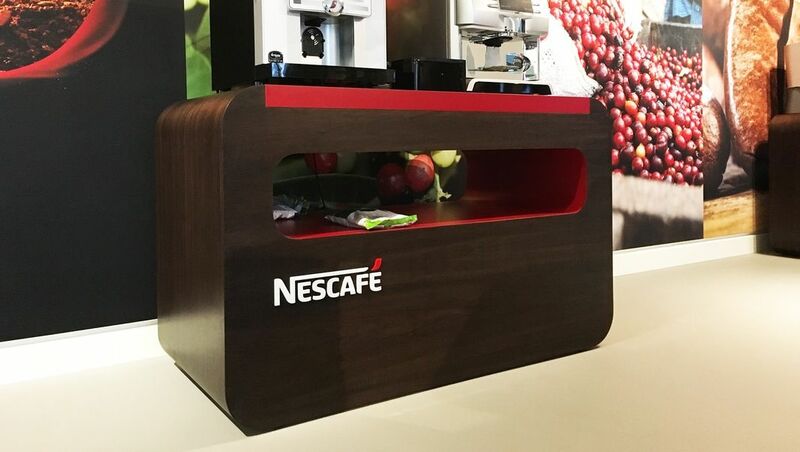 The design is from Rimal Productions for the new Nescafé Showroom in Urbain Trade. 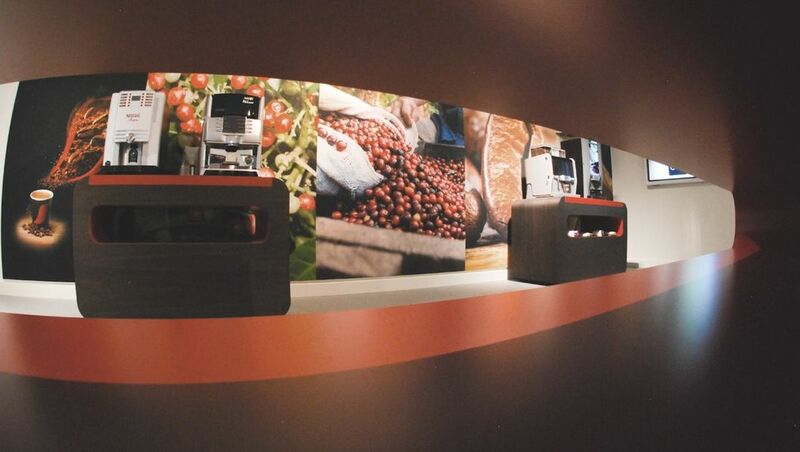 Urbain Trade specializes in the sale of high-end coffee machines. 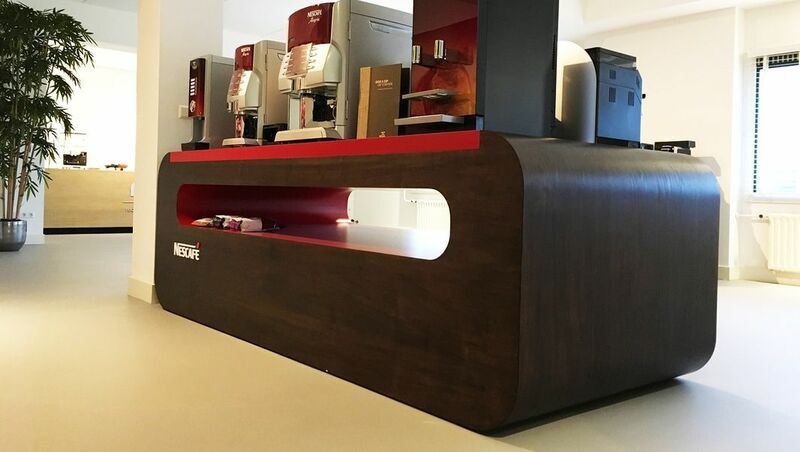 The 3 smaller counters and 1 large counter are finished with red HPL and dark oiled american walnut veneer.